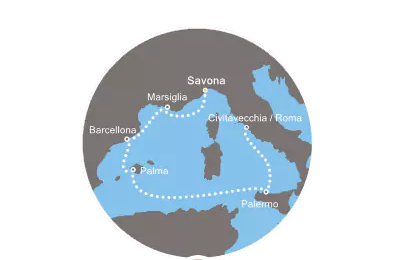 Costa gives you now fantastic opportunity to enjoy the nice Mediterranean sun on-board Costa Diadema cruising from Savona to Marseille, Barcelona, Mallorca, Sicily and Citavecchia/Rome for just €150 (interior cabin), €199 (oceanview cabin) or €249 (balcony cabin). If you have ever dreamed of a cruise through the Mediterranean Sea we’ve just found a nice deal for you. You can book a 6-night full board cruise on board Costa Diadema from only €150 per person. Book this great deal and see what a joy the most classic style of cruise can be! The price is based on double occupancy in a modern interior cabin, including all meals (breakfast, lunch, afternoon coffee, dinner, snacks during the day, sometimes midnight snacks), use of on-board facilities and participation in all recreational activities and entertainment programs during the cruise. 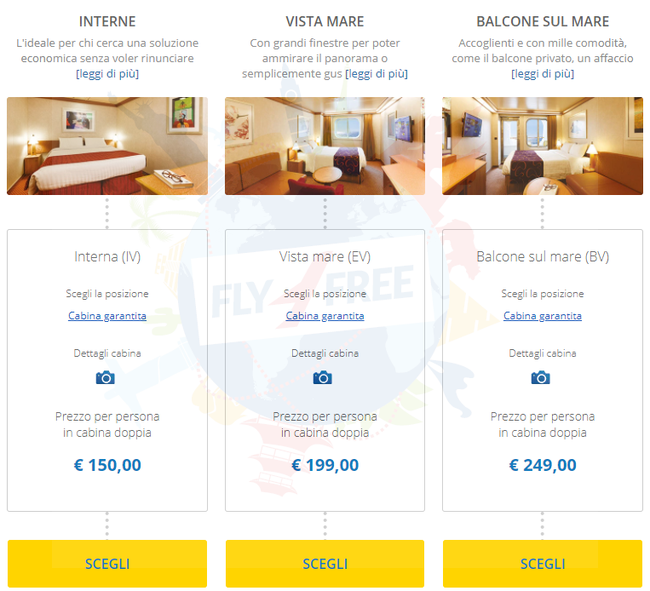 The price does not include service fee (€10 per day) and alcohol on board.